To claim this profile, please confirm you are Jerome Padilla. To follow this profile, please let us know your relationship to Jerome Padilla. RESULTLoss Varsity baseball @ Texico. 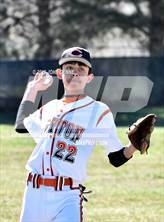 The Clayton varsity baseball team lost Friday's away conference game against Texico (NM) by a score of 24-0. RESULTLoss Varsity baseball @ Santa Rosa. The Clayton varsity baseball team lost Thursday's away conference game against rival school Santa Rosa (NM) by a score of 13-3. The Clayton varsity baseball team lost Thursday's away conference game against rival school Santa Rosa (NM) by a score of 18-1. RESULTLoss Varsity baseball vs. Santa Rosa. The Clayton varsity baseball team lost Thursday's home conference game against rival school Santa Rosa (NM) by a score of 16-3. 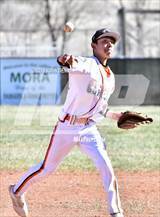 RESULTLoss Varsity baseball vs. Cimarron. The Clayton varsity baseball team lost Saturday's neutral tournament game against Cimarron (NM) by a score of 7-6. The Clayton varsity baseball team won Friday's neutral tournament game against Non Varsity Opponent by a score of 13-3. RESULTLoss Varsity baseball vs. Mora. The Clayton varsity baseball team lost Thursday's home tournament game against Mora (NM) by a score of 16-3. RESULTWin Varsity baseball vs. Cimarron. The Clayton varsity baseball team won Monday's home non-conference game against Cimarron (NM) by a score of 8-6. The Clayton varsity baseball team lost Monday's home non-conference game against Cimarron (NM) by a score of 12-3. Jerome had 6 photos tagged from the game against Mora. Jerome had 1 photo tagged from the game against Mora. 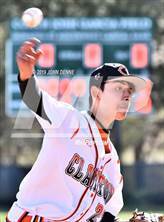 Jerome has been added to the Clayton baseball roster. The Clayton varsity baseball team lost Thursday's neutral non-conference game against Mora (NM) by a score of 6-0. RESULTLoss Varsity baseball @ Mora. The Clayton varsity baseball team lost Thursday's away non-conference game against Mora (NM) by a score of 11-0. RESULTWin Varsity baseball vs. Questa. The Clayton varsity baseball team won Tuesday's home non-conference game against Questa (NM) by a score of 19-1.